TV chef Cella journeys to an idyllic seaside town to write an Italian cookbook. She's also mourning a failed restaurant project, dodging her predatory agent, and finding respite from soul-crushing fame. 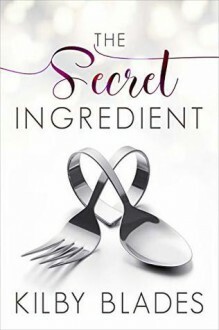 When she learns that her next-door neighbor, hot doctor Max, is the nephew of a late, famed Italian restaurateur, she convinces him to teach her authentic touches that will help her write the book. This is a mixed blessing for guilt-ridden Max, who botched his own attempt to become a chef—a failure that’s left his aunt’s gorgeous restaurant sitting empty for years. No one has challenged Cella when it comes to her cooking in ages. Max’s fiery disposition sparks her intuition and reminds her how to feel the food. But the heat between Max and Cella may be hotter than the flames on the stove. Max's gentlemanly nature and Cella's professionalism stop being enough to keep them apart. With Max's vacation ending and Cella slated to return to L.A., how will they ever say goodbye?